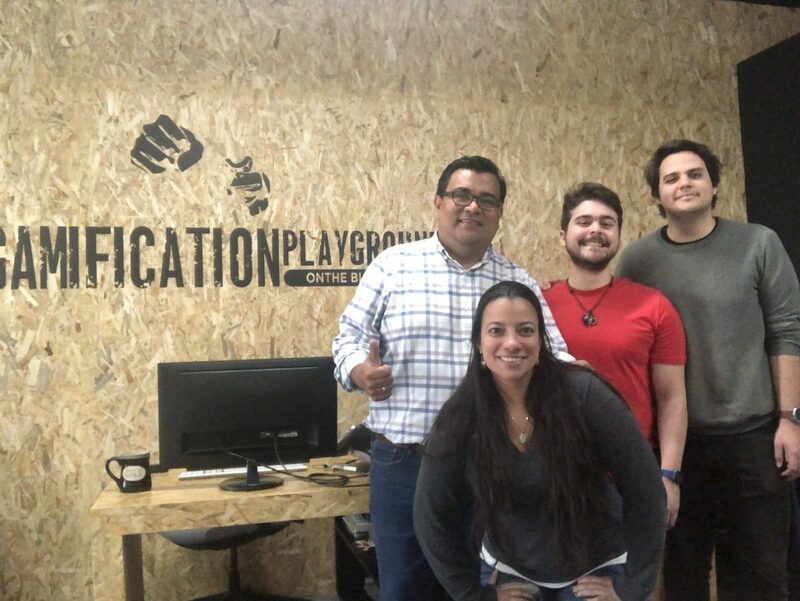 We are very excited to tell you that Gameboard.Tech in Guatemala continues to grow its network of alliances. We have a new partner, a young and dynamic company led by two young enthusiasts who want to change the world and achieve a more inclusive society. Charlie Galdamez and Diego Carranza have founded KitSord, an application that teaches sign language to people who live with and/or interact with at least one person with a hearing disability. With its accessible and easily understandable content, it helps those who live or interact with the hearing impaired to meet their communication needs. Driven by our company mission to contribute to society and to improve the situation of the country, we made a commitment to help with the app. And because we love to play, we managed to integrate a Gameboard solution. Working together for several weeks, we developed a game design document, which analyzes the application and its players, the type of players, and what motivates them. We analyzed the strengths of the app and created game dynamics around them. These dynamics became the moves or plays of the game. We then assigned points and created levels. This way the player goes through a process in which he progresses and receives prizes. In this case, prizes are points or keys that can be exchanged throughout the course of or at the end of the game. This motivates players to keep participating. All of these game dynamics, and the analysis carried out, helped apply the different motivators to the app. The goal is for users to return and new players to come to use it. We want to inspire loyalty, while supporting the non-listening community throughout Latin America by teaching more people to communicate by sign language. We are convinced that by working and promoting our values of ethical, fair and transparent conduct in business, we will achieve a better and more inclusive world.